Admire the naturally pearlescent shell. Discover exquisitely unique flavours that bring a sparkle to any occasion. Savour the sophisticated, festive spirit and smooth yet powerful character. with iodised notes and a delicate sweetness. Open your oysters with a firm but careful hand. ranging from the traditional to the inventive and the quick to the more elaborate to prepare. both formal or informal presentations work. Enjoy cold or warm, alone or with an accompaniment. 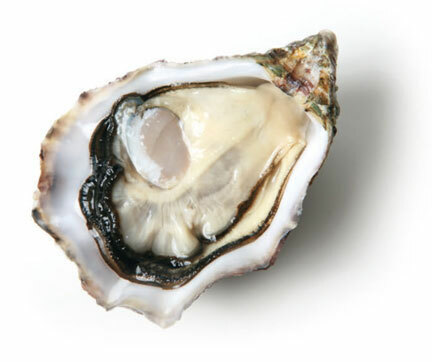 • For the finishing touch, we encourage Krystale oysters to collide with each other to strengthen their shell, enhance their mother-of-pearl interior and to produce bigger-than-average oysters with a delicate sweetness.